Today marked Canada Day, the offspring of the old Dominion Days, here in the other part of America. No, it’s not like the Fourth of July. Canadians acquired their independence quiet peacefully and not under the pretense of seeking democracy when they really are just peeved about paying taxes. We attended the parade in Fort Saskatchewan. It started a half hour late and inexplicably broke down and stalled about midway for nearly ten minutes. The Paranormal Explorers from Edmonton. 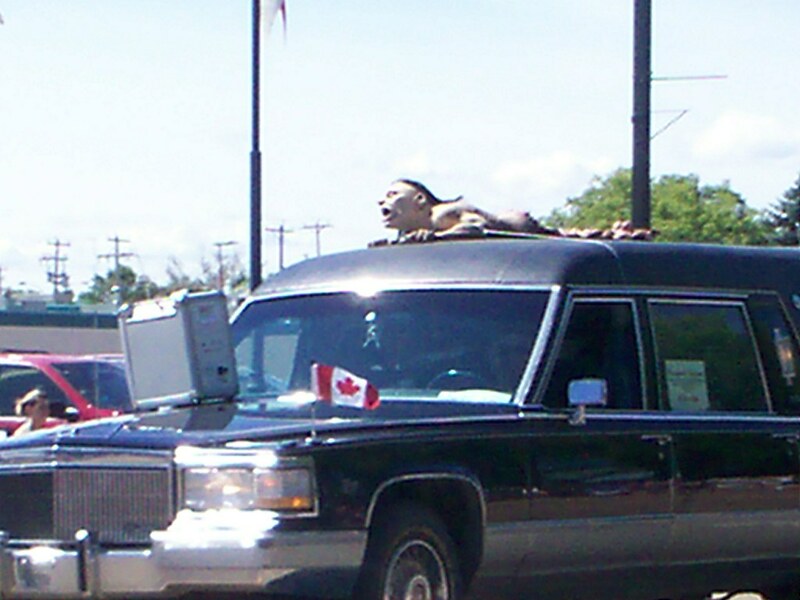 Why yes, that is a hearse with a ghoulie crawling towards the crowd with gaping jaw and menacing intent. But it got even better. Nothing says “happy observance of your independent nation status” like a zombie baby from Salem’s Lot. Today’s parade was sponsored by so many businesses that briefly longed with the farm implement laden small town parades of an Iowa 4th of July. Edmonton is a hotbed of psychic activity, but they will travel – for expenses. 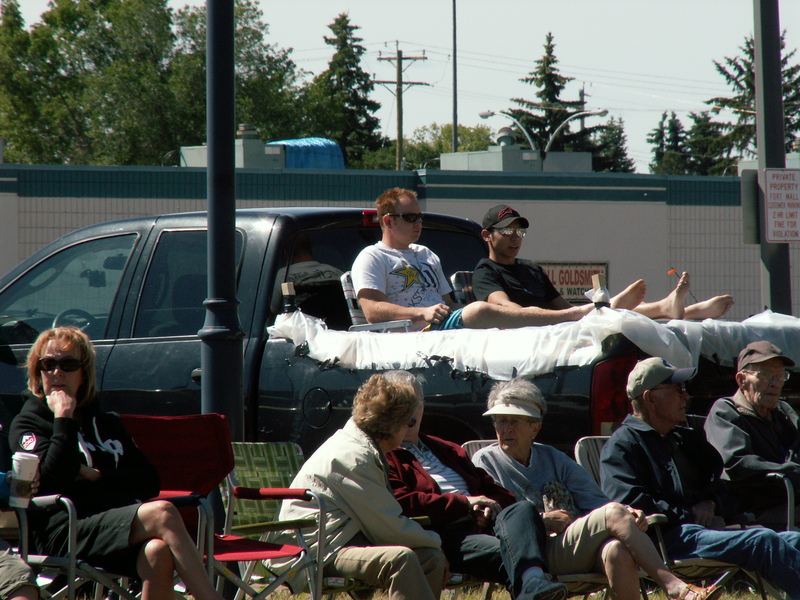 Parade viewing is exhausting, so if you can – make up your truck bed and snuggle in with a beverage. I laughed out loud at the title of this post. Who ya gonna call? Ghost Busters! 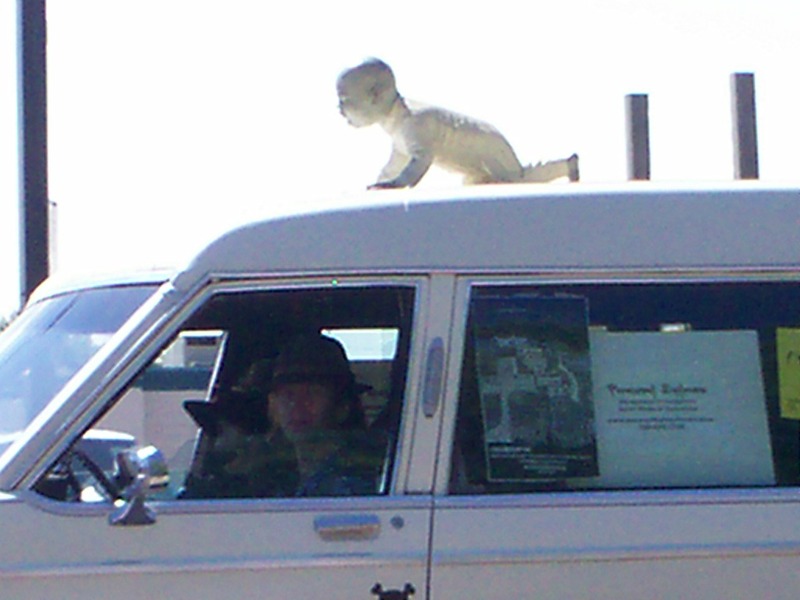 i adore local parades – no matter what the reason! advertising, political candidates and elected officials, pee-wee football players, school bands… it’s all good! 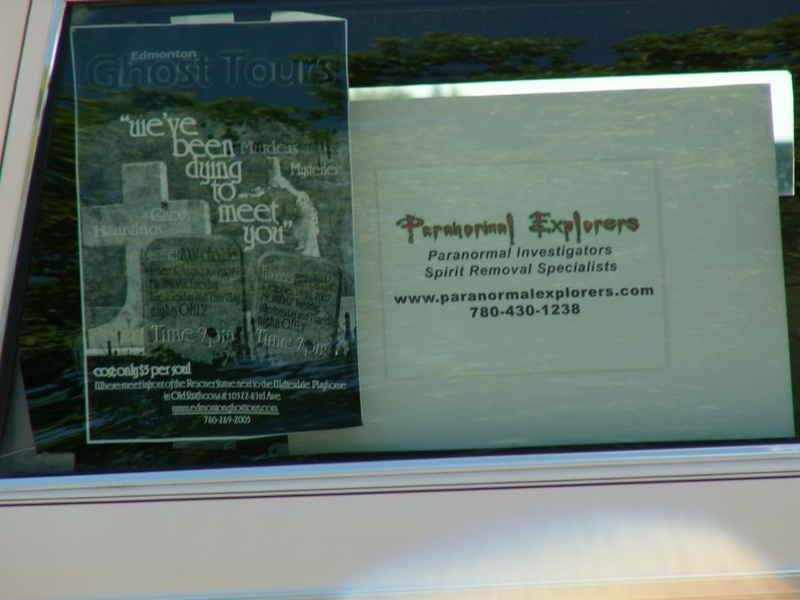 love the paranormal investigators. i have to say, that’s a new one for me!